The LSGTPA tractor pulling teams are preparing for the upcoming DeLeon Peach and Melon Festival pull, scheduled for Saturday, August 9. The action will commence at 11am, with our National Anthem presentation by Paige Williams, during opening ceremonies. The track is located, at 195 W. Almante Avenue (DeLeon, Tx 76444). Several teams have used the two month break in the summer schedule, to make changes and improvements on their tractors. Among those teams working during the break, are the crew of the Mean Green Pulling Team. 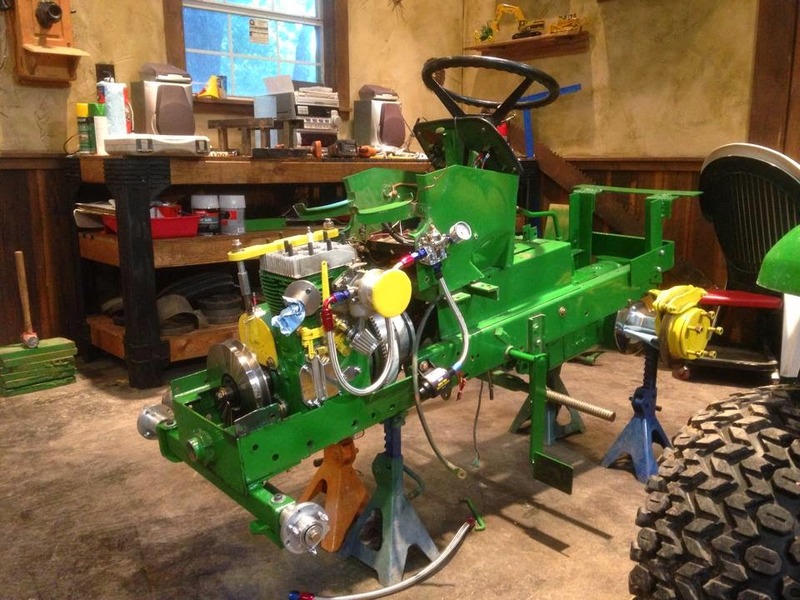 These guys have taken their tractor completely apart, for a mid-season rebuild, and will be looking to make a great return at the DeLeon Peach and Melon Festival event ! The LSGTPA 2014 Schedule is loaded with fast and furious pulling action, during the second half of the year. 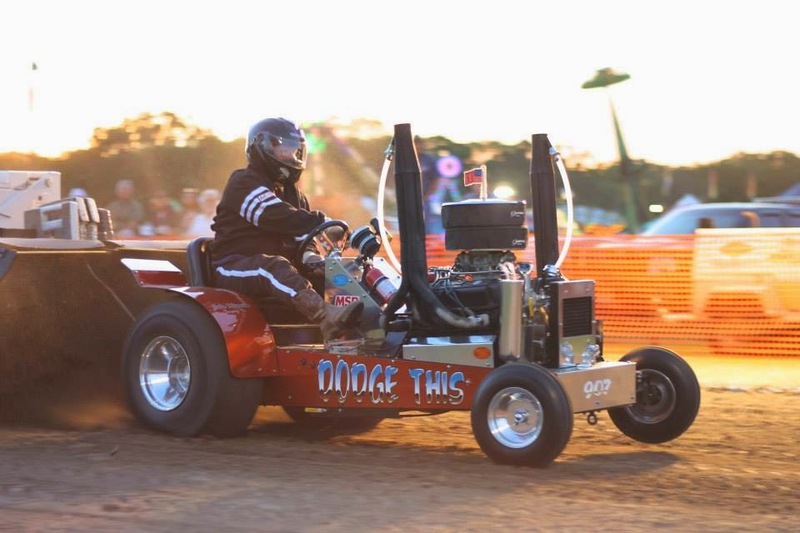 The remaining schedule will include two pulls in August, and will close out with a five-in-a-row marathon, of back to back pulling action in September and October ! Make sure to mark your calendars for the events near you !!! The LSGTPA Youth Class has been featured on the Chevy Hometown Kids program, airing on Fox Sports Southwest. The original program ran after filming at the Hunt County Fair event, in Greenville Texas. Since then, the show continues to air, as part of a 'Best of Chevy Hometown Kids' series. The program star and host, Emily Reppert, shares stories of youth sports events in the southwest United States. The program has also been released on the Chevy Hometown Kids 'youtube' channel, and can be viewed at the following link ! Check out the program each week on Saturday mornings, and on Monday and Tuesday evenings ! Chevy Hometown Kids host Emily Reppert, with the LSGTPA Youth Class in Greenville. 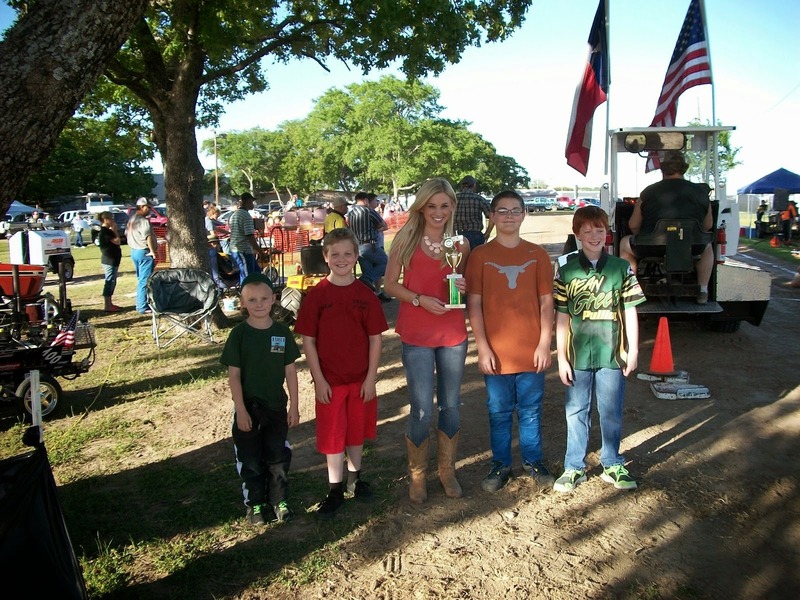 LSGTPA tractor pulling teams are preparing for the next event on the 2014 pulling schedule, which will be held in conjunction with the De Leon Peach and Melon Festival, in De Leon Texas. The year will mark the 100th anniversary for the De Leon Peach and Melon Festival event, and the LSGTPA pulling action will be a feature event on Saturday, August 9th. This years event will take place downtown De Leon, at 195 W. Almante Avenue. The event is scheduled for an 11am start, with our National Anthem presentation by Paige Williams. Teams from throughout the state will converge on downtown De Leon, to battle for the title in ten classes. Check out some of the interesting links, on the history of De Leon and the Festival.